Gettysburg PA, the site of an important battle from the United States Civil War. Living in Northern VA, not all travel destination require us to get on a plane. 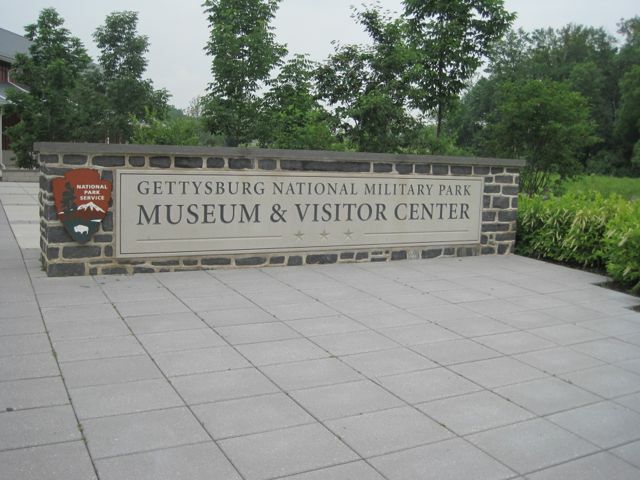 The Gettysburg National Military Park is a prime example. This park has been featured in several movies, including Gettysburg, as well as Remember the Titans. If you are a Civil War buff, or American History buff, this is a place to visit. I believe the military study of this battle has been extensive. The battle of Gettysburg ended Robert E Lee's second invasion of the North during the Civil War. It was the bloodiest battle in the a war, with somewhere around 51,000 americans being killed on the field. This year is the 150th Anniversary of the Battle of Gettysburg. There are several events planned. The park is located in Gettysburg PA. It is about 90 miles north of DC, located in central southern Pennsylvania. My wife and I had some friends over last year and we took a road trip to Hershey Park, (A post for another day) and on our way home we stopped at Gettysburg. According to the National Park Web Page , the first shot fired was a miss. Keep blogging, and keep Exploring. Good luck with the rest of the challenge! Someday I'd love to get back east and see all those historic sites. I've only visited Gettysburg for a few hours and would really like to return someday to better appreciate it. I worked at Gettysburgh over ten years ago for a while. I'm not a mitary or history fan, but it's an amazing, emotional place. Great mix of posts am enjoying them.